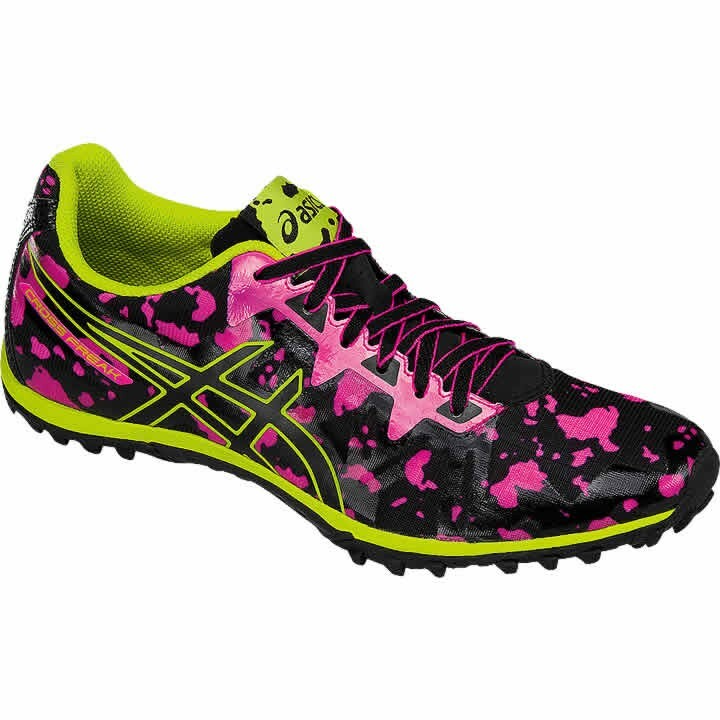 Asics Cross Freak™ 2 cross country spike combines a Trusstic System® technology plate and lugged rubber outsole for stability and traction on a variety of championship courses. A compression molded EVA midsole provides responsive cushioning for harder surfaces, while the 5-spike configuration provides sure-footed control on muddy terrain, corners and hills. Includes 9mm pyramid spikes and wrench. Trusstic System® : gives shoes stability by preventing them from twisting during movement with shapes designed according to the motion characteristics in the sport and the purpose of the shoes. The shape of the Trusstic™ is tailored to the type of shoe according to the motions used in the sport to keep the shoes from twisting.